There are many costs associated with Florida DUI insurance. Learn more here, then start your Florida FR44 quote now. DUI insurance Florida FR44 is a certificate of financial responsibility the state requires for license reinstatement after a DUI charge. Other costs related to Florida DUI/DWI conviction include increased insurance premiums, fines, reinstatement fees, and the cost to take a traffic safety course or to install an ignition interlock device. The costs associated with DUI insurance Florida FR44 are among the highest in the nation, and you’ve probably wondered why. Even standard auto insurance in Florida is much more expensive than in other states. An obvious contributor to the high cost of Florida auto insurance is the state’s unpredictable weather, especially hurricanes. Just one hurricane in a year can cause an avalanche of claims that result in premium adjustment increases statewide. But a major reason that Florida auto insurance rates are higher than in other states is the Florida No Fault Law, which allows PIP (personal injury protection) claims. Fraudulent PIP claims are common in Florida, contributing to the high cost of auto insurance in the state. Some insurance companies will decline you altogether if there is a PIP claim on your record, whether it was legitimate or not. Even if a claim is filed by the other party, it can impact you in a negative way. If you have a Florida DUI conviction, your insurance costs are further multiplied. The coverage for bodily injury and property damage increases tenfold over the standard coverage requirements – from 10/20/10 for standard minimum liability to 100/300/50 for an FR44 certificate of financial responsibility ($100,000 bodily injury for each person, $300,000 bodily injury for each accident, and $50,000 property damage). Along with higher minimum liability coverage, your insurance premium increases. Additional costs and penalties after a Florida DUI conviction are fines ($500 to $5,000 depending on the number of convictions on your record). You may be required to install an ignition interlock device, involving additional fees. Finally, if you want to reinstate your license there are reinstatement fees of $150 for a first offense, $250 for a second offense or $500 for a third offense. See the Florida DMV website for more detailed information on the state’s DUI program service fees. You’ll be required to carry DUI insurance Florida FR44 for 3 consecutive years without any lapse of coverage, whether your own a car or not. This is where UltraCar Insurance can help. 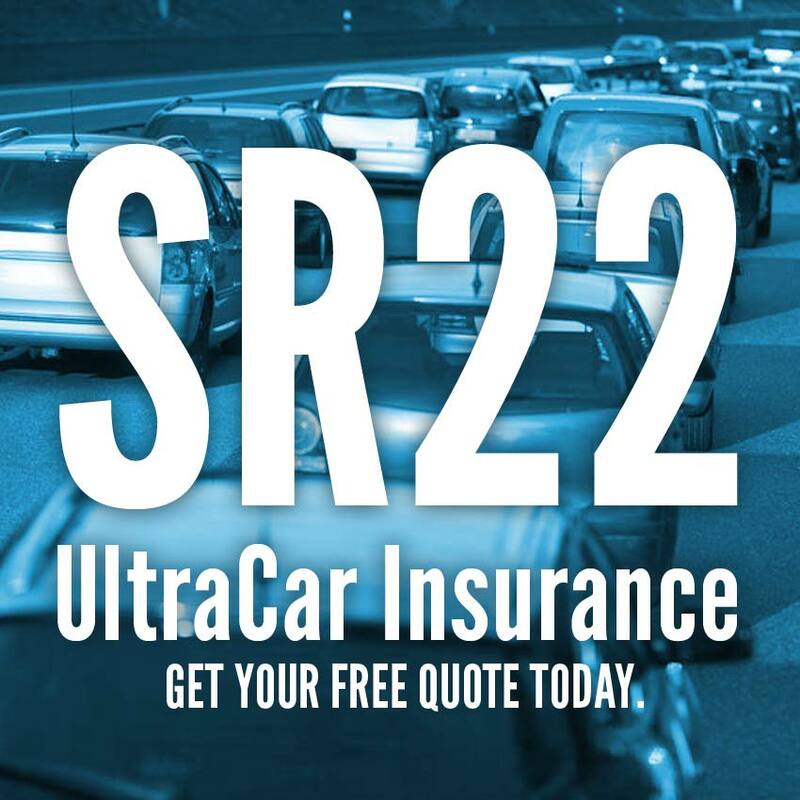 We’ll get you the lowest rate possible for Florida FR44 insurance or Florida non owner FR44 if you don’t own a car. For quickest service, start a Florida FR44 insurance quote now, or call and speak with one of our licensed agents today!